1913. Unpaginated. No dust jacket. Beige cloth boards. Contain black and white frontispieces. 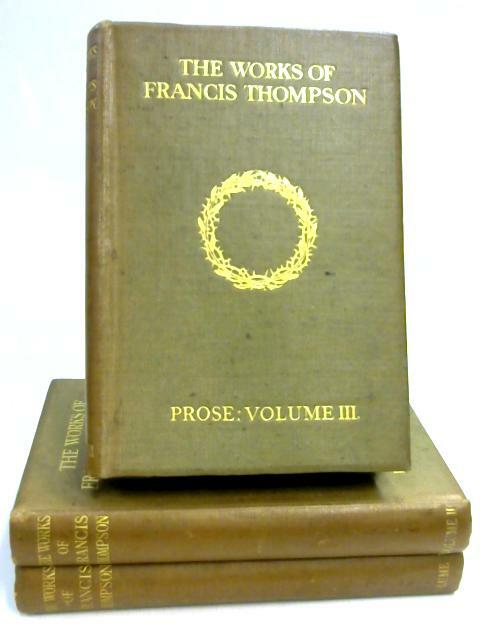 In 3 volumes including Vol I: Poems, Vol II: Poems, Vol III: Prose. Tanning, foxing and thumbing throughout, heavier to endpapers and text block edge. Cracks to guttering, pages remain tight. Some fraying to page edges. Boards have rub wear and marking with slight forward lean and sunning to spine. Bumping to corners, edges and spine ends. Burns Oates And Wasbourne Ltd.